Are your kids ready to go on a journey through the solar system? Get them to hop on board the space shuttle for a ride of their life! 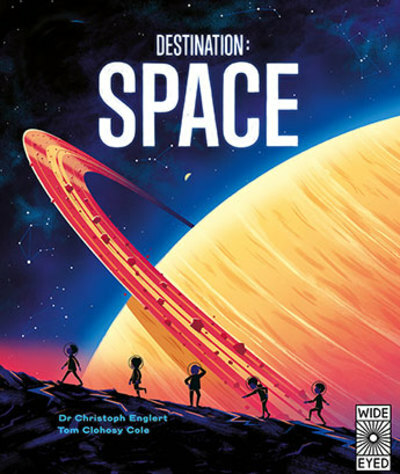 Destination Space takes the reader and their team of five fellow space cadets, on an exploration deep into space. They will learn all about the science behind the stars, planets, meteors and comets as they travel through galaxies far and wide. Dr Christoph Englert is a lecturer in Physics at the University of Glasgow. His research focuses on the physics of elementary particles and their interactions. This fun and educational book, is his first written for children. This large format, hard-covered picture book, is full of incredible illustrations and thousands of facts that all budding astronauts will love. It also includes a huge double-sided poster that kids will be extremely excited to hang on their walls. Destination Space would make a perfect gift for any space loving child. It is aimed at children 7 and up, but would also be a great educational guide for early teens.